Elaine is a Registered Clinical Counsellor who works with adults in and around the Vancouver area providing individual counselling, couples counselling, and family counselling. In addition, she facilitates several groups per week focusing on relationship violence and problems created as a result of alcohol and drug use. 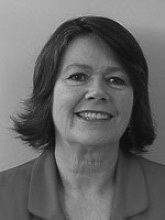 Elaine is also a trainer providing professional development workshops throughout the province of British Columbia. Staff training and consulting contracts include non-profit agencies, colleges, government departments and school boards. Outside of British Columbia, she has given workshops in Ottawa, Ontario; Philadelphia, Massachusetts; Portland, Oregon; Los Angles, California and Albuquerque, New Mexico. Prior to opening her private practice in 1989 she worked for 10 years in a non-profit counselling agency associated with the criminal justice system.